First of all Happy New Year to you all! I won’t say let’s hope for better imaging weather this coming year as so far it hasn’t been anything to write home about. Moving on. 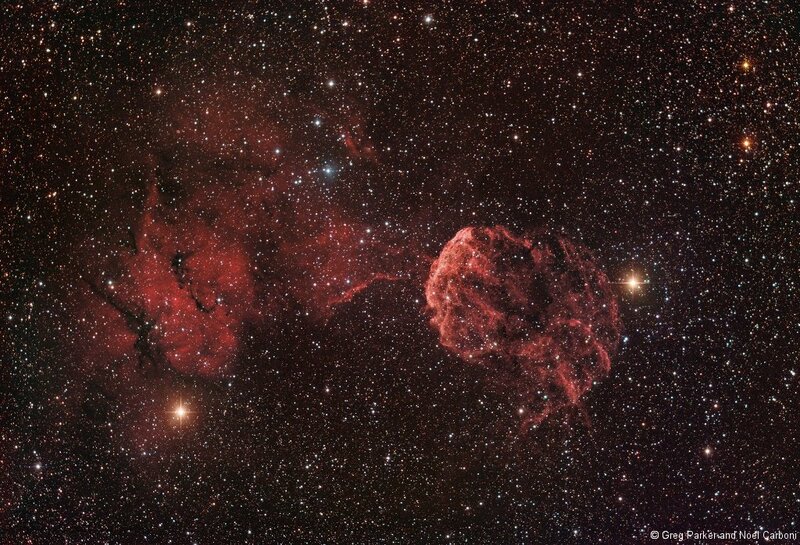 This month’s Imaging Object of the Month is the beautiful Jellyfish nebula in Gemini. This is a very difficult time of the year for imagers as there is so much up there in a good imaging position right now, including all the stuff in Auriga and of course Orion and Monoceros. IC443 is pretty faint and does well with the addition of narrowband data to the RGB, especially H-alpha and S-II. IC443 is also BIG – you can see from the accompanying image that the rather large FOV of the Sky 90/M25C combination (2.22 x 3.33 degrees) is just about perfect for the region.